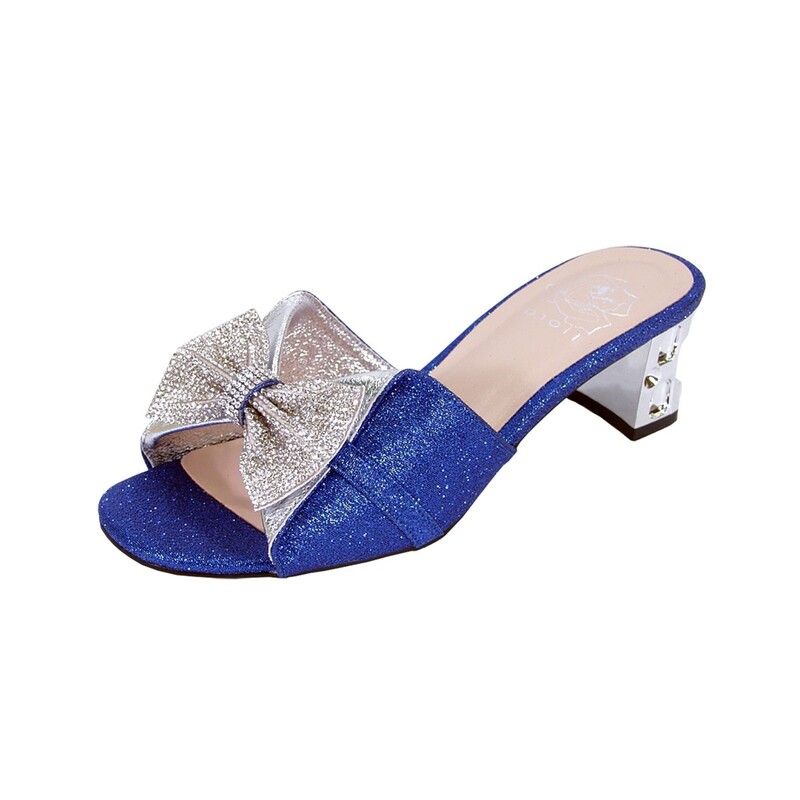 FLORAL Farrah women wide width open-toe slide sandal is dazzling with an amazing glistening rhinestone bow. This ladies 2" block heel is especially unique with its sculpted ornate look. 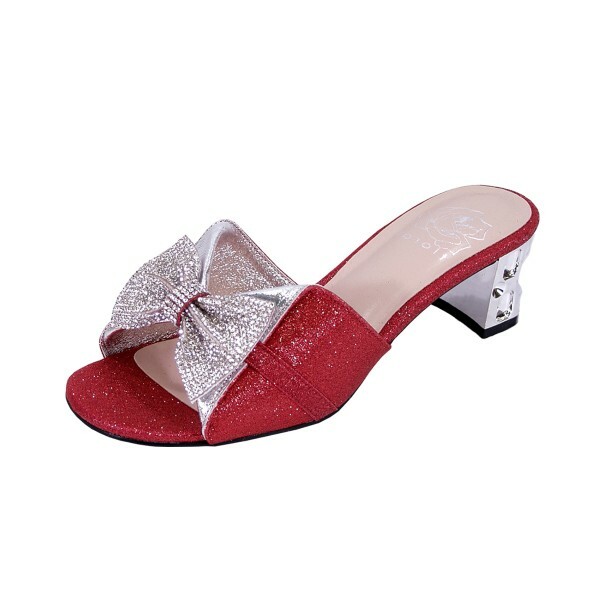 This special sandal features a metallic upper along with an extra cushioned insole. Its outsole is made of durable and lightweight rubber materials for maximum surface grip to give you support so you are party-ready.